Jeremy and I are jetting off to Mexico at the end of next week, where much lounging on the beach and exploring awaits us (excited!). But, before I get to relax in tropical bliss, the Christmas crafting needs to get done! So, with my serger set up on the kitchen table and my sewing machine at the ready in the bedroom, I was really on a roll tonight. 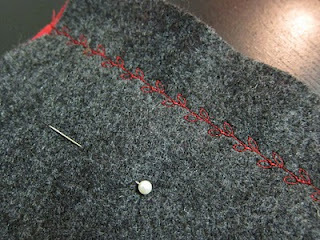 I stitched so much, that I finished all of the holiday sewing, and then needed one more small project just to wind down. I’ve wanted a change purse/small wallet to use with my smaller handbags for a while, so I made one. As it turns out, it was incredibly easy to make exactly what I needed. 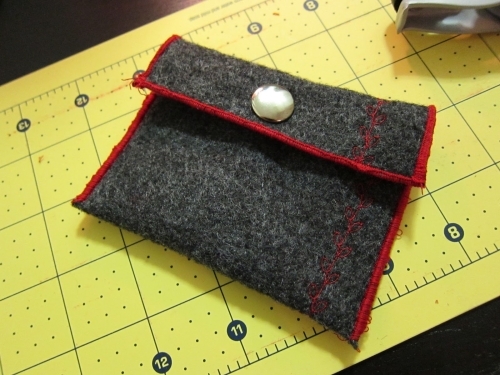 My change purse is nothing fancy, but it’s reasonably cute and definitely functional. There’s enough room inside for your ID and some cash, but not enough space for extra clutter. Sound good? You can make your own in 5 steps (and about fifteen minutes)! 1. 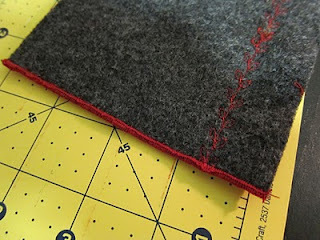 Using upholstery fabric, cut a 7″ x 4″ rectangle. 2. Add decoration to your fabric (optional). 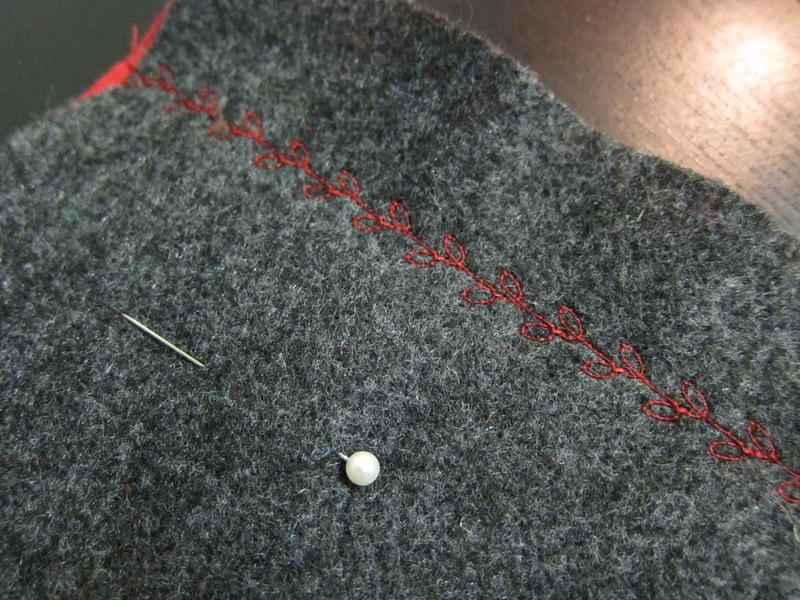 I have a sewing machine with embroidery stitch functions, so I chose a leaf stitch. You could also make a pattern using cross stitches, lines, an embroidered pattern, a monogram—anything you want (or nothing at all). 3. Finish the top and bottom edges. I used a rolled seam stitch on my serger. If you’re using a sewing machine or hand-stitching, fold the edges under and finish the seam. 4.  Fold fabric and finish sides. 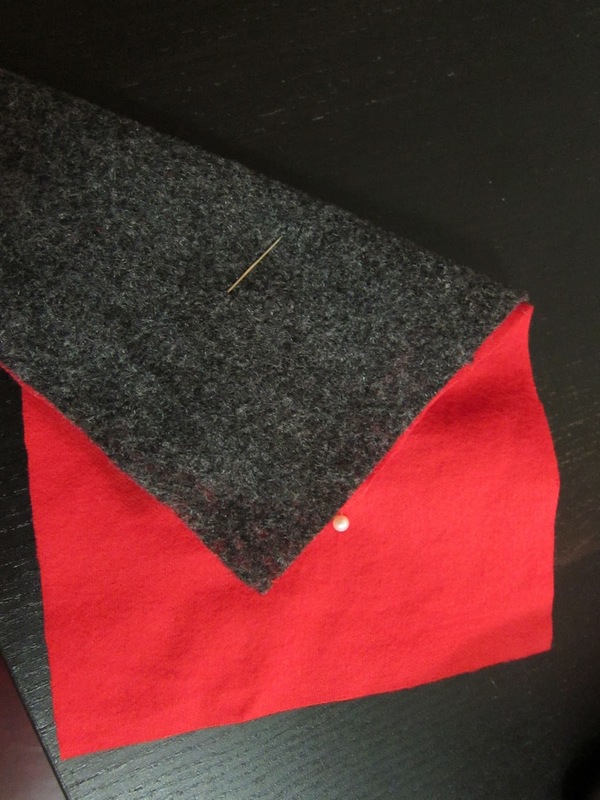 Again, I used a rolled seam on my serger, but you can also fold the edges under and finish the seam. 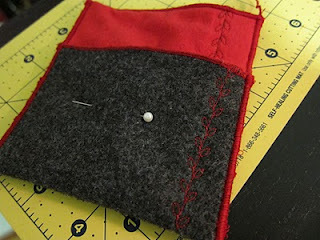 I added a snap with a pair of snap pliers, but you can also use a button, a hook and eye, or some velcro.